Christine uses her communication expertise to support clients with strategy, planning, measurement, writing and project management. Since joining Davis & Company, Christine has worked with clients, such as New York Public Library, American Water and RBC. Prior to joining Davis & Company, Christine worked for The National MS Society where she managed fundraising events and held such positions as logistics manager, newsletter editor and website administrator. 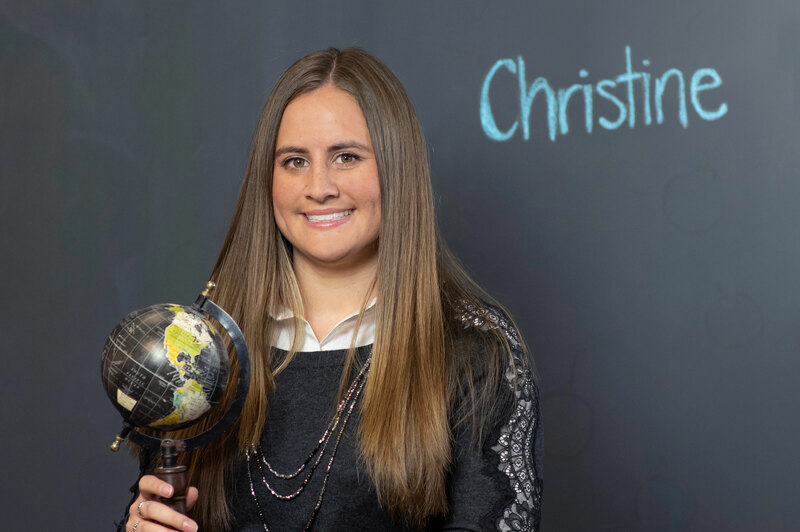 Christine received a bachelor’s degree in organizational communication with a minor in psychology from Northeastern University and a master’s degree in corporate and organizational communication from Fairleigh Dickinson University. One of my first projects at Davis & Company was campus communication for a large pharmaceutical site. Fast forward a few years and the project is still going. It’s been interesting to see how the project has evolved and satisfying to see how much communication has improved. Knowing that my work can help create a better work environment, happier employees or just have a positive impact. Can food be my passion? I love to cook and eat. I love to build, make and fix things, so I would try something completely different like a carpenter. I like to refurbish old furniture that I pick up at garage sales or flea markets. Some kind of murder mystery show. Detective work has always intrigued me. Switzerland. It’s where I was born and always feels like home when I visit. It’s also one of the most beautiful places I’ve ever been.